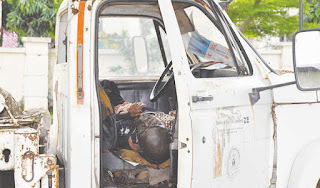 The decomposed body of the kidnapped Divisional Police Officer, DPO, in charge of 'C' Division, Asaba, (bridge head), Delta State, SP Valentine Mbalu, has been allegedly found in a bush at Umunede near Agbor. SP Mbalu, was abducted last week by unknown gunmen on his way from Agbor to Asaba when a reportedly five-man armed bandits, disarmed him and whisked away to an unknown destination. It was gathered that the kidnappers who suspected to be Fulani herdsmen had established contact with the family of the deceased family with a demand of N50 million to set him free and later reduced to N20 million and N5 million before the latest discovery of the decomposed body of the DPO in the bush. 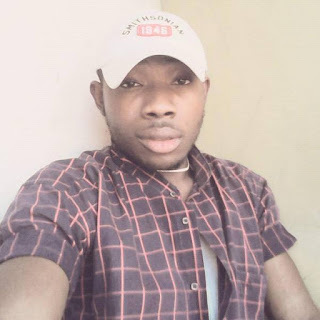 When contacted, the Delta state Police Public Relations Officer, (PPRO), DSP Andrew Aniamaka, said he is not aware but stated that wherever he has been kidnapped to, he will be rescued adding that some members of the five man gang who abducted the DPO have been arrested but the PPRO who sounded depressed could not give the exact number of persons arrested so far as claimed. However, a police source who pleaded anonymity confirmed that the decomposing body of the DPO was found Friday in Umunede forest, Ika North East local government area of Delta state adding that a Hausa Fulani man has been arrested in connection to the kidnap of the deceased.